Newt Gingrich is shown here in clear incredulity. Perhaps it's because he only won his home state of Georgia on Super Tuesday. What most people see when they first look at this photo, is the former Speaker's forehead contracted and elevated on his right side. This is a classic signal of disbelief. 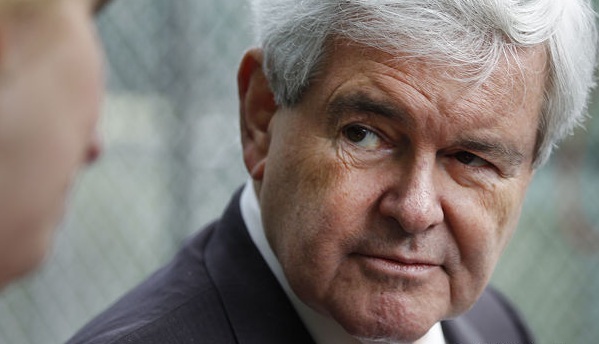 But what is less obvious - is Mr. Gingrich's right eye is opened widely while his left eye is slightly closed. This asymmetrical eyelid configuration is also a classic body language tell consistent with a skeptical emotional tone. Often these signs are much more subtle than Newt is showing us - but if others are displaying these nonverbals, disbelief is absolutely present - despite what their words may be saying.